Photo from the Archie Powell And The Exports Facebook page. I’ve thoroughly cleaned my gazebo in the hope that The Rolling Stones will use it to rehearse during their extended Chicago area visit, but so far I haven’t heard from them. As written up in the Chicago Tribune and Chicago Sun-Times, noted photographer Paul Natkin is now displaying some of his most famous rock and roll pics at an exhibit at the Elmhurst Historical Museum. Shutter To Think: The Rock And Roll Lens Of Paul Natkin, runs through August 25th. I still have my copies of Bright*Lights, the PhotoReserve free paper Natkin put out with fellow photographer Bill Sosin, in the late 1970s. Freelance writer Cary Baker and rock DJs Bob Gelms, Scott McConnell, and Mitch Michaels were among the guests who contributed copy. 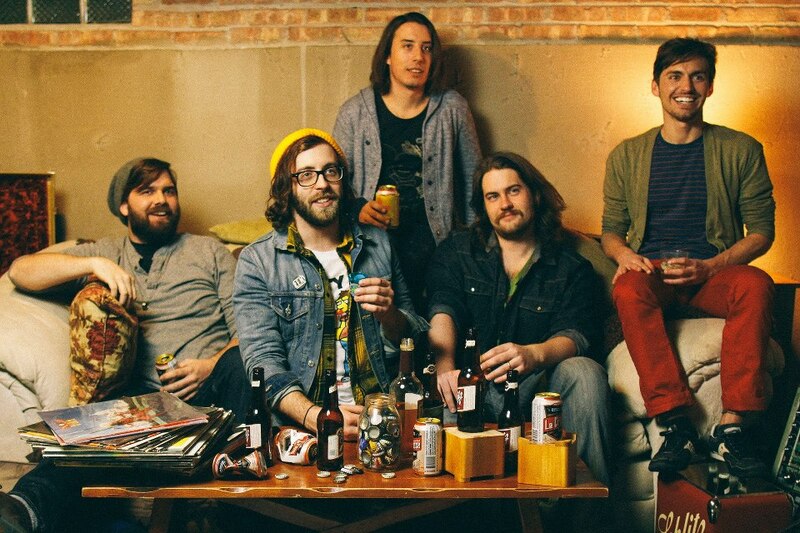 Archie Powell & The Exports are one of the acts that will be playing at the Do Division Street Fest and Sidewalk Sale this weekend on Division from Damen to Leavitt. The band’s Great Ideas In Action CD came in second on the BHT list of 2012’s top releases. The Right Tidys, a co-ed power pop band that will be releasing its debut in the coming months, are performing at a Do Division After Party at Phyllis’ Musical Inn tomorrow night. Power pop veterans 92 Degrees go on at 10:00 PM, The Right Tidys at 11:00 PM, and Moist Guitars go on at Midnight. Singer Sharon Van Etten will be giving a free performance at the Pritzker Pavilion in Millennium Park this coming Monday, June 3rd at 6:30 PM. Eleanor Friedberger, one half of the duo Fiery Furnaces, will be performing songs from her new Personal Record release during an in-store solo acoustic set at the Reckless Records location in Wicker Park nerxt Friday at 6:00 PM. If you check out The Smithereens next Saturday when they perform at the Wells Street Art Fair, be sure to tell them you saw an item on Broken Hearted Toy about the new Smithereens 11 Live Compilation that will soon be available on iTunes. Lead vocalist-guitarist Pat DiNizio posted about it on Facebook. The compilation has live songs, demos, and alternate versions among its 21 tracks. Fest For Beatles Fans has announced the lineup for its Chicago event on August 9th - 11th. British Invasion duo Chad and Jeremy and power pop musician Greg Kihn will be appearing for the first time. Returning favorites Joey Molland from Badfinger, singer Billy J. Kramer, and producer/musician Mark Hudson are also on the bill. The Handcuffs are scheduled to return to the studio next week to begin work on their fourth release. 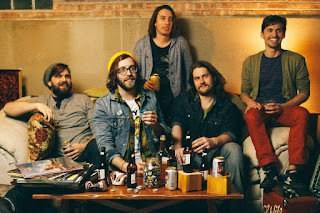 The Chicago-based indie rock band recently added guitarist Susie Q to replace longtime member Ellis Clark, who left earlier this year. That leaves drummer Brad Elvis as the only dude in the band. Clark’s new solo effort, LP Number One, is already picking some positive reviews. Mighty Con, a toys, comics, and gaming convention, will be held at Pheasant Run Megacenter in St. Charles on the weekend of June 21st -23rd. 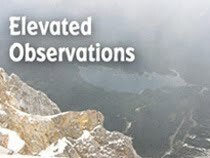 A one day pass is $10, a weekend pass is $15. Peter Tork, the most lovable Monkee according Desiree Burcum from my former comedy group, Famous In The Future, has a gig at the Old Town School Of Folk Music on Sunday, June 9th. Burcum and fellow FIF members Frank Carr and Tina Teske will be performing as The Rut at The Rolling Stones Tribute show being hosted by alt rock band whitewolfsonicprincess next Saturday, June 8th at The Brothers K CoffeeHouse in Evanston. Maybe if she promises to see Tork on Sunday, he’ll come to see The Rut on Saturday. Glancing over the Official Hollies Facebook page, I noticed a post about a Hollies Tribute band in the UK called The Hollywood Bees. This is the first Hollies tribute band I’ve heard of, and judging from their promo video on YouTube, they’re fairly successful. If there are any other Hollies tribute bands out there, I’d love to hear from you. Robin Hitchcock, the eccentric English musician whose critically acclaimed career dates back to his time with the Soft Boys back in the 1970s, dropped by Chicago radio station WXRT yesterday morning for a visit with DJ Terri Hemmert. He was promoting his performance last night at City Winery, which involved the audience imbibing fine wines specially chosen by XRT Program Director Norm Winer between songs. It’s a new concert/wine tasting series the venue has started. Hitchcock also chatted with Hemmert about his latest release, Love From London, and he performed an acoustic version of one of the songs from it. 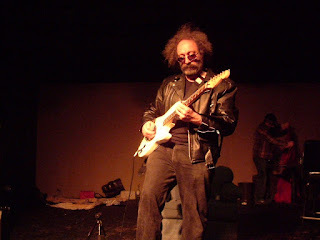 He also did an older tune, “Serpent At The Gate.” The interview touched on Hitchcock’s work as a writer and artist (he created the front and back cover art for Love From London), as well as his recent musical collaborations with Peter Buck from R.E.M. He came across as hip and funny; it was clear that he and Hemmert have a good rapport. Edge City, a syndicated comic by Terry and Patty Laban, and carried by the Chicago Sun-Times, is currently running a story about its main character Len going to a punk concert with his buddy. I had to laugh since the band is called The Measles. Long ago in another era, I wrote a parody of Rolling Stone magazine's Random Notes column called Rancid Notes for a local paper called Metro Calendar. One of the fictional items I came up with was about a punk band called The Measles. I don’t remember all the particulars, and I’m not about to hunt through my archives, but there was a member named Lita Rebellion, and the band’s debut was titled, Eat Yer Offal. This was back when I was an uninformed child who hated punk rock. These days, I know better. I can never relate to people who complain there’s no good music these days. The charts may be jammed with overly commercial artists, but with a little effort, it’s still possible to find new stuff you’ll love in rock, soul, new wave, C&W, or punk. 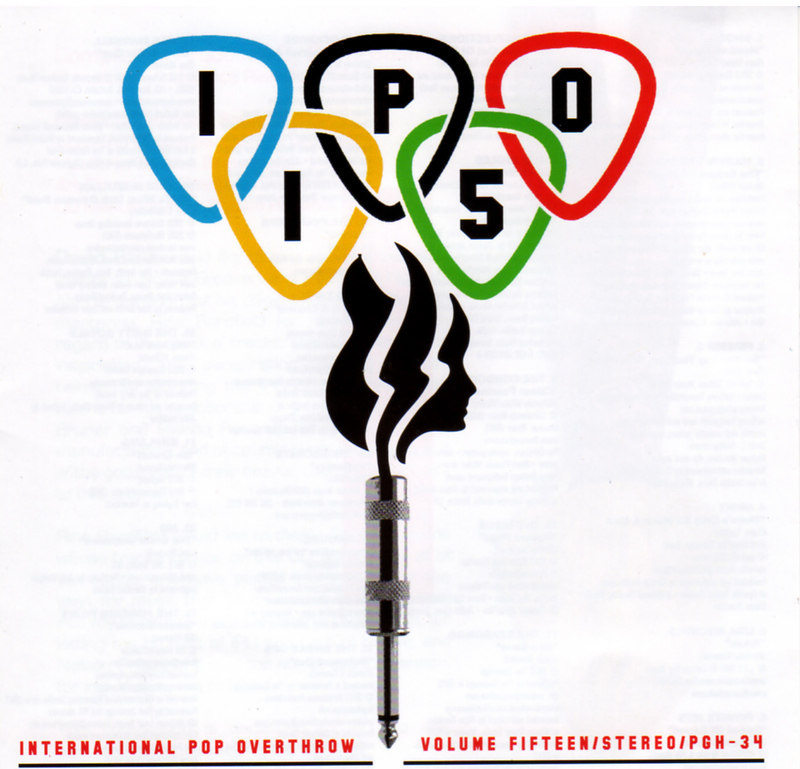 That’s obviously the case for power pop since David Bash, Founder/CEO of International Pop Overthrow, has just released another three-CD collection featuring power pop and indie rock acts associated with his traveling music festival. 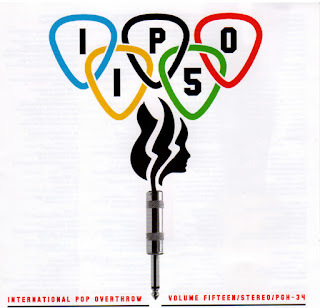 With over 60 tracks, some misfires are inevitable, but International Pop Overthrow - Volume 15 serves as a great resource (complete with the website for each act) for discovering music. Here are some highlights from the numerous worthwhile tracks. NUSHU, a duo comprised of Lisa Mychols and Hilary Burton, delivers a fun and faithful take on The Cars’ “My Best Friend’s Girl,” and Mychols also succeeds with her power pop gem, “Taken.” Laurie Biagini’s catchy love song, “Two Of A Kind” is an immediate attention-grabber, and Sue Hedges crafts an amiable folk arrangement for “Song For Last Year’s Lover.” “Impossible To Be With,” by Ramune, is a bit disjointed at the start, but then kicks into gear. Although International Pop Overthrow is primarily concerned with power pop and indie rock, Bash obviously relishes the opportunity to toss the occasional curve ball. The Dirty Royals use acoustic instruments to back “Hey Katrina,” their tale of an abused wife, The Foreign Films build an orchestrated sound on “Sweet Sorrow,” and The Star Fire Band breaks out some honky tonk piano on “Home.” David Dattner & Troy Warkentin draw listeners in with the pulsating techno beat of “Skating On The Thin Ice,” and Liar’s Club is abrasive but enjoyable with its punkish “There You Go Again.” IPO - Volume 15 wraps up with the dreamily psychedelic “Barbie” by Ed Tulipa. Chad & Jeremy photo from the Fest For Beatles Fans Facebook page. The Fest For Beatles Fans announced the lineup for its 37th annual Chicago visit on Facebook last Friday, revealing a mix of longtime favorites and a few new faces. As always, the three-day celebration will present musicians, authors, artists/photographers, and music biz people who have some connection to The Beatles. Most are accessible to fans in both the general sense of watching them being interviewed in a large meeting room, and on a face-to-face basis at the autograph tables. A huge marketplace with loads of music-related memorabilia is also a major draw. Plus, this year will offer the public debut of an intriguing documentary. Fest For Beatles Fans will take place at the Hyatt Regency O’Hara in suburban Rosemont on August 9th through 11th. 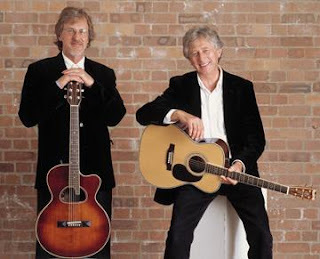 The British Invasion duo Chad and Jeremy (“Yesterday’s Gone,” “Summer Song”) and 1980s power pop artist Greg Kihn (“Breakup Song,” “Valerie”) are set to make their Fest For Beatles Fans debut, and both acts are scheduled to perform in concert. Freda Kelly, who charmed Fest-goers in 2012, will return in order to introduce the screening of Good Ol Freda, a documentary detailing her experiences as the secretary for The Official Beatles Fan Club throughout the band’s career. Some of the returning favorites include Joey Molland, former vocalist-guitarist for Badfinger; singer Billy J. Kramer, producer-musician Mark Hudson, who has worked with Ringo Starr; Beatles artists Georgina Flood and Eric Cash; Master of Ceremonies Terri Hemmert, whose Breakfast With The Beatles show airs on WXRT every Sunday morning; and quick-witted British comedian-writer-filmmaker Martin Lewis. At previous Fests, Hemmert and Lewis have taken turns interviewing the various celebrities. 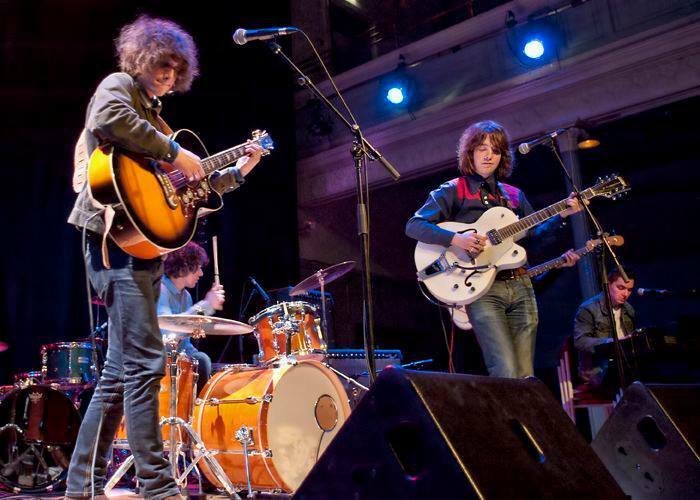 Liverpool, a New York-based band that expertly covers The Beatles without trying to impersonate them, will perform on Saturday and Sunday night. Considering that Liverpool usually invites some of the musical guests to join them onstage for a few songs, this year’s lineup of Chad and Jeremy; Greg Kihn, Mark Hudson, and Joey Molland looks even more interesting. I’m planning on doing a more extensive preview closer to the event. Fest For Beatles Fans tickets are $39.00 for Friday; $49.00 for Saturday or Sunday; and $115.00 for the entire weekend. BHT Welcomes The Stones To Chicago. Graphic from The Rock And Roll Hall Of Fame. The Gene Siskel Film Center presented the Chicago premiere of The Crumbles tonight. The 2012 film concerns a pair of female musicians (played by Teresa Michelle Lee and Katie Hipol) who form a band with a male drummer. The Crumbles, which the Film’s Center’s May program describes as a “winningly good-hearted movie,” will also be shown on Monday at 3:00 PM. It’s part of the Gene Siskel Film Center’s Asian American Showcase. My Kingdom For A Harley. The revved-up version of Shakespeare’s Richard III that drew critical acclaim during its earlier stay at the Underground Wonder Bar can now be seen at the The Den Theatre on Milwaukee Avenue from tonight through June 30th. Director Carlos Lorenzo Garcia, a veteran of the Mary-Arrchie Theatre, has re-imagined the Bard’s royal characters as warring bikers. Speaking of the Mary-Arrchie Theatre, its highly successful take on Tennessee Williams’ The Glass Menagerie is also coming back. Director/performer Han Fleischmann’s bold reworking resulted in sold-out shows and rave reviews during its last run. This time, it’s being staged (with the same cast) at Theatre Wit, rather than at Mary-Archie’s home base. All the people who missed The Glass Menagerie last time around will have until June 30th to catch it. The Rolling Stones are coming to Chicago next Friday, May 31st, and then they’re going to stay here! Well, until June 3rd, for the last of their three concerts at the United Center. WXRT featured The Stones today and DJ Terri Hemmert speculated that Mick and the lads might be seen hanging out here during that time. The gazebo in my backyard is available for practice if they need it. Too bad The Stones won’t still be in town on June 8th for the free admission, all-ages Rolling Stones Tribute Show being held at the Brother K Coffeehouse in Evanston. It’s another event organized by alt rockers whitewolfsonicprincess, who’ve honored John Lennon and Neil Young in the past. Some of the acts scheduled to join wwsp include Hannah Frank, Mr. Mo, The Alley Cats, Dave Newman, and The Rut. 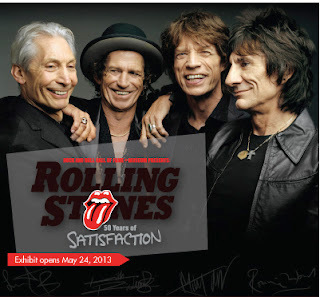 In related news, The Rock And Roll Hall Of Fame opened its new Rolling Stones: 50 Years Of Satisfaction exhibit at its headquarters in Cleveland today. Fans can check out 4,000 square feet of instruments, clothing, art, and other memorabilia. 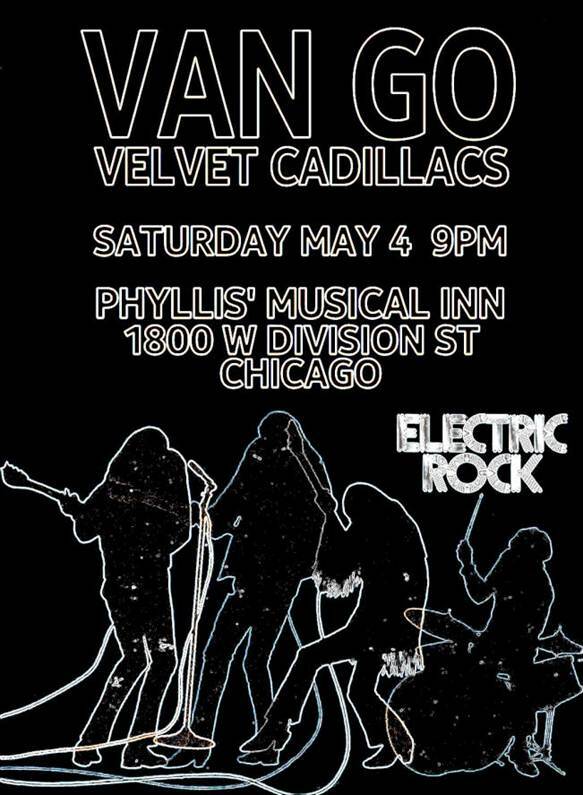 Power pop band The Viaducts hope to usher in the Summer next Friday night at Phyllis’s Musical Inn on Division in Chicago. Suicide Bunnies are also on the bill. The show starts at 9:00 PM. The Viaducts, led by singer-guitarist Jimmy Rane, performed at International Pop Overthrow - Chicago last month. Meanwhile, International Pop Overthrow opened in London tonight at the Surya venue and will stay throughout the weekend. The Len Price 3 will be performing tomorrow at 10:15 PM, and other acts include Spygenius, Dave Rave, and The 286, who bill themselves as “The UK’s only rock orchestra.” As I often do when IPO hits another town, I did some research on the London schedule and found at least two new acts, Semion and The Silver Factory, that I had never heard of before, but instantly liked. So by all means, use that IPO website as a means of discovering new music. Crushed Out, the hard-hitting duo comprised of vocalist-guitarist Frank Hoier and drummer Moselle Spiller, will be performing at the Paper City Music Festival in Chillicothe, OH on June 15th. Crushed Out’s 2012 release, Want To Give, was a freewheeling blend of rock-a-billy, punk and hard rock. The David Mayfield Parade and PALEFACE! are also part of the Paper City Music Festival, which will be held at the Majestic Theatre. Most Beatles fans are aware of the band’s affection for Country & Western music and how much it influenced songs like “I’m Looking Through You” and “I’ve Just Seen A Face.” The Fab Four also rendered their own classic versions of tunes by Carl Perkins and Buck Owens. Chicago-based duo Sgt. Popgrass is now exploring the flip side of this situation by giving Beatles songs some rustic American appeal. Graham Elvis was one third of The Elvis Brothers, a rockabilly band that recorded two superb LPs for Portrait in the 1980s, and later, the Now Dig This CD on the indie label, Recession Records. The trio never achieved the success it deserved. Sgt. Popgrass isn’t the first time Graham Elvis has covered tunes by John, Paul, George, and Ringo. He was part of the trio, Not The Be@tles with former fellow Elvis Brother, Brad Elvis and singer-songwriter, Phil Angotti. Once he had the concept for Sgt. 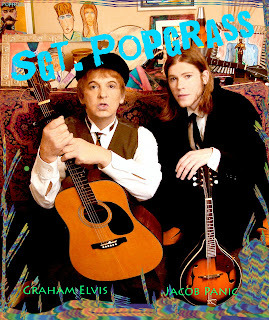 Popgrass in mind, Graham Elvis started looking for musicians who would be compatible. Sgt. Popgrass has recorded at least eight tracks in an ambitious effort that includes music from The Beatles’ LPs rather than just concentrating on the hit singles. Occasionally, their approach is reminiscent of the 1970s band McGuinness Flint. “Love Me Do” is predictably peppy, but it works, while the spare arrangement for “And I Love Her” has a more delicate beauty. “Rain” moves to an easy-going vibe, and “We Can Work It Out” is particularly well-suited to an acoustic guitar and banjo setting. Graham Elvis and Jacob Panic combine for airtight harmonies throughout, and most of the tracks have passages where they cut loose on their instruments. “Blackbird” and “Cry Baby Cry” have more complex arrangements to match their lyrical content, while a more dramatic beat, edgy vocals, and a hint of Led Zeppelin’s “The Battle Of Evermore” add tension to “Helter Skelter.” It may seem odd to hear the politically charged “Revolution” in this context, but folk songs often tackled the heated issues of the time. Sgt. Popgrass will perform at The Dustin Villarreal Memorial Benefit Concert on Saturday, July 6th, at the Arcada Theatre in St. Charles. The Cavern Beat and Rick Lindy and The Wild Ones are also on the bill. Back in 1983, Jimmy The Hoover had a moderate hit on the UK charts with the exotic “Tantalise (Wo Wo Ee Yeh Yeh).” I’m not sure how well it sold in America, but I bought the single after hearing it played on the Chicago FM radio station, WXRT. 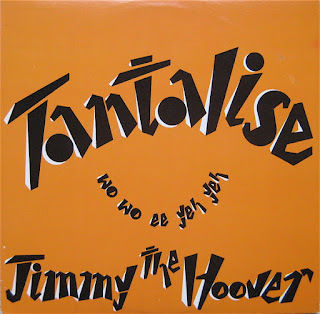 At the time, I found “Tantalise” fit in well on a mixed cassette next to “When Lightning Strikes” by The Three O’Clock. Both songs are exuberant celebrations of finding true love. Female backup vocalists that included drummer Carla Duplantier helped Dunbar make the celebratory incantation, “Wo Wo Ee Yeh Yeh” so memorable it was listed as part of the title. When my wife Pam and I got married, we found a DJ who agreed to play any records we wanted at the reception. “Tantalise” was one of the first choices that came to my mind. Photo from The Merrylees Facebook page. Happy Birthday to Carla Evonne, former lead vocalist for one of Chicago’s all-time best punk bands, Bohemia. Here’s a clip of Bohemia performing “Empty Room” from their debut LP, Deviations. This was one of the songs that inspired the rock and roll novel I recently completed. I’m now looking for an agent or publisher. Expo 76, an eclectic cover band that includes Dag Juhlin of The Slugs and Poi Dog Pondering, as well as Pravda Records founder/CEO Kenn Goodman, will playing real good for free, tonight at FitzGerald’s in Berwyn. This Is This, a Chicago area trio that plays mostly original music, will be back at Mac’s On Slade tomorrow night. On The Hours, The Minutes And The Days, the most recent CD by This Is This, guitarist-singer John Petitt, bassist-singer Don Torres, and drummer Eric Helge brought other genres into their melodic mainstream rock songs. As I mentioned before here on BHT, Mac’s is quickly becoming a popular choice for musicians. Crawpuppies, a band from Indiana that’s equally adept at power pop and mainstream rock, will be the opening act when the Gin Blossoms play at Popcorn Fest in Central Park Plaza in Valparaiso, IN on September 7th. A few years back, when I reviewed the World’s Much Bigger CD by Crawpuppies, I noted that lead singer-guitarist Chad Clifford’s vocals evoke Ian Hunter while his lyrics concerning relationships and topical issues consistently hit the mark. Crawpuppies also have a show on May 31st at Buddy & Pals in Winfield, IN on May 31st. Luck Of Eden Hall will be in a celebratory mood at Vintage Vinyl in Evanston tomorrow afternoon starting at 1:00 PM. The occasion is the European release of the eternally psychedelic band’s Butterfly Revolutions Volumes 1 and 2. Luck Of Eden Hall will also perform a few songs as a preview of its upcoming release, Victoria Moon. Go Time! 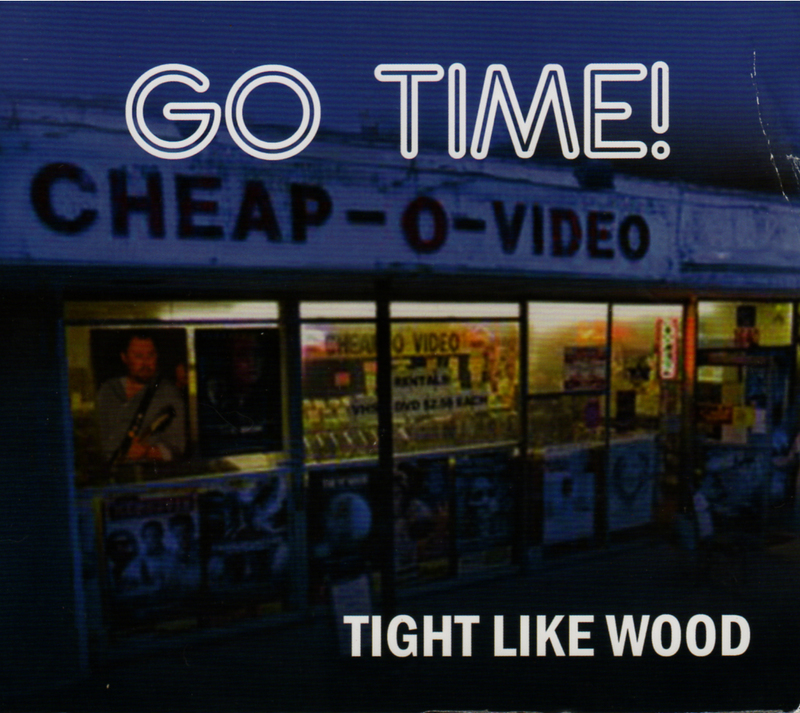 has a record release party for its impressive new CD, Tight Like Wood, on Saturday, June 1st, at Silvie’s Lounge at 9:00 PM. When I reviewed the band’s most recent for release this past Tuesday, I noted its complex arrangements that fall somewhere between power pop and hard rock. I mentioned in last week’s Slumgullion that the new Plastiscines single “Coming To Get You” was overly commercial, but I suspected better things could still come from the French three-woman band. And I was right. “Ooh La La” still leans more toward techno than the garage rock that made Plastiscines so much fun in the past, but it’s a catchy tune, built on lead and bass guitars. Young Sinclairs, a band that incorporates the jangle of British Invasion but also delves into Bob Dylan and garage rock, has a new video for “Didn’t You Baby.” The song is from their 2010 release Chimneys, which is being reissued in digital format available on Amazon and iTunes. “Hurt My Pride,” released earlier this year as a single, has been getting airplay on Little Steven’s Underground Garage radio show. Young Sinclairs vocalist Sam Lunsford’s self-titled solo debut is also now available. International Pop Overthrow is in full swing in the home town of The Beatles. Thirty bands are lined up to play throughout tomorrow at The Cavern Club, which means plenty of opportunities to discover new music. For example, here’s a clip of one of the participating acts, The MerryLees. There’s also a Cavern Club Tribute To Lennon/McCartney scheduled for 2:00 to 6:00 PM. IPO - Liverpool runs through Tuesday, May 21st. Grab a bowl of cereal and get ready for the world premiere of Ralph Covert’s children’s TV pilot, Ralph’s World: Time Machine Guitar on Chicago PBS station Channel 11. The show will air tomorrow morning at 9:00 AM; Sunday at 10:30 AM; and Tuesday at 6:30 AM. Covert also has a non-Ralph’s World related show tomorrow night at the Friendly Tap in Berwyn. Chicago-based musician Nicholas Tremulis has covered a lot of ground since releasing his soulful self-titled debut in 1985. His multiple recordings include the dark but compelling Bloody Show in 1996, and his more recent work with Bun E. Carlos from Cheap Trick and John Stirratt from Wilco in the alt rock band, Candy Golde. He’s also a knowledgeable radio personality; serving as a host of WXRT’s appropriately named weekly program Eclectic Company. His latest venture, For The Baby Doll, combines roots rock with a bit of cutting edge literature. Recorded with The Nicholas Tremulis Orchestra, it might be his strongest effort yet. For The Baby Doll comes packaged within a 36-page book with lyrics, a short piece by Tremulis, and a gritty, soul-baring Forward by Michael Thomas. Tremulis reaches back decades to a time when he was trying to land a record deal in L.A., and then reflects on living in one of New York’s low-rent but trendy neighborhoods. He obviously still treasures the times he spent in punk bars and strip clubs, as well as the friends he made in them. Anyone who’s into Tom Waits or the Beat Writers will feel at home reading these pages. Tremulis warns a lover to clean up her act on the energetic “You’re Gonna Lose (Everything You Got)” but otherwise For The Baby Doll consistently offers a sentimental but authentic take on the power of love. “Without You With Me,” written by Tremulis with Alejandro Escovedo, is a rough hewn love song with an aching melody reminiscent of George Harrison’s best work, while the old time blues of “Super Human Love” is a joyous celebration of the powerful emotion. “You’re Too Much (But Never Enough)” is just for fun; as Tremulis and his Orchestra cut loose with some freewheeling rock and roll. 2013 has been an exciting year for Big Star fans. Nothing Can Hurt Me, a feature length, critically acclaimed documentary about the pioneering power band once led by the late and legendary Alex Chilton, has been making the rounds at music and film festivals. The soundtrack, which features rare alternate and studio mixes, as well as a new mix of “September Gurls,” was one of the most coveted vinyl treasures offered for Record Store Day this past April. The CD version is available on Amazon. Now comes the news that an all-star celebration of the Big Star 1978 gem, Third, (named by Rolling Stone as one of the 500 Greatest Albums Of All Time) will be held on June 28th at the Vic Theater in Chicago. Tickets go on sale this Saturday, at 10:00 AM CST. 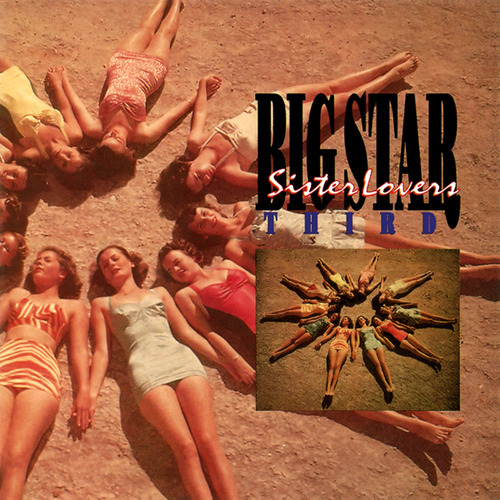 Presented by Jam Productions and Chicago radio station WXRT, Big Star's Third will be a full live performance of the LP involving some very familiar and respected names on the power pop and alt rock scene. Jody Stephens, drummer with the original Big Star, tops a list that also includes Mike Mills from R.E.M. ; Chris Stamey from The dB's; Mitch Easter from Let's Active; Ken Stringfellow from The Posies; Sally Timms from The Mekons; Josh Caterer from Smoking Popes; Gary Louris from The Jayhawks; and Ed Roeser from Urge Overkill. Note: Go Time! 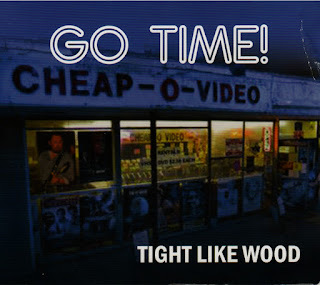 is having a release party for Tight Like Wood on Saturday, June 1st at Silvie’s Lounge on Irving Park Road in Chicago. The immediately engaging “The Life We Once Knew” is a prime example, with its masterful blend of acoustic and electric guitars. On “Days Of The Weak,” Go Time! builds a big sound with guitars and keyboards, while the mid-tempo “Thought You’d See” evokes R.E.M., with an additional touch of Country & Western. “In A Certain Mood” offers another guitar showcase from Niekelski and Paul Schmidt; sounding like something The Rolling Stones might have unleashed in the 1970s. In addition to these more complex songs, Go Time! also performs straight up hard rock on “The Lines Were Blurred” and “Live Today... Die Another,” which is driven by Mark Marketti’s powerful bass lines. Throughout Tight Like Wood, Go Time! keeps the emphasis on strong melodies. Photo from Rich Cotovsky’s Facebook page. At this point, it’s too late to catch tonight’s performance of The Little Mermaid by the Illinois Youth Dance Theatre at the Lake Zurich Performing Arts Center. But there are a pair of shows tomorrow afternoon, at 1:00 PM and 5:00 PM. Alt rock/avant garde band Whitewolfsonicprincess has a “Western” theme in mind for the two sets it will be performing at the UnderGround Bar (710 N. Clark Street) tomorrow night. Mosey on over around 9:00 PM. Congratulations are in order for the Mary-Arrchie Theatre’s Artistic Director, Rich Cotovsky. As reported by theatre critic Chris Jones in this past Wednesday's edition of the Chicago Tribune, Cotovsky, who has been with the cutting-edge storefront company from the very start, will receive a special Joseph Jefferson (Jeff) Award this year. Having performed with the Famous In The Future comedy group at the Mary-Arrchie's annual Abbie Hoffman Died For Our Sins festival for 20 years, I’ve developed an admiration for Cotovsky both as an actor and as an avid supporter of the local theatre scene. Plus, he’s very funny. Cotovsky will receive his award when The Jeff Awards are held at the Park West on June 3rd. Alt rock/country band Dolly Varden has created an official video for vocalist-guitarist Steve Dawson’s autobiographical “Saskatchewan To Chicago.” The song is from Dolly Varden’s latest CD, For A While. Metropolly, led by singer-guitarist Holly Senchak, will be one of six acts on the bill when Urban Gateways and New Arts Forum presents Rock For Arts at Reggie’s next Saturday night. Ovadya, American Musk Ox, Newburys, Sam Vicari and Lonesome Still will also be performing. The $25 admission price covers the music, Goose Island beer from 7 - 8:00 PM, and a buffet from 7:00 - 10:00 PM. Urband Gateways and New Arts Forum provide arts educations programs for children. Young At Heart Pet Rescue is holding From Wags To Wishes, a benefit for homeless senior pets, on June 22nd at the Meadows Club in Rolling Meadows. In addition to dinner and drinks, there will be a silent auction involving over 400 items. My wife Pam and I were highly impressed with Young At Heart when we adopted a nine-year old cat from them a while back. Plastiscine Faux Pas? Fans of The Plastiscines have been pining for new material for years, but now that the three remaining members have posted “Coming To Get You” on YouTube, there's been a bit of a backlash. “Damn it! This is awful!,” read one comment. “Where is THAT cool rock 'n' rolling?” A woman named Alex asked, “How was [it] that great music became Pop trash?” Another suggested, “I guess when [guitarist] Marine Neuilly quit the band she took the rock and roll with her.” Normally I'm not one to engage in piling on, but the disgruntled fans have a point. The really interesting aspect of The Plastiscines was how and why these young Parisian women became so adept at crafting authentic 1960s style garage rock. “Coming To get You,” by comparison, is an overtly commercial stab at current techno pop. Still, it’s only one song. Hopefully, the band will go back to rocking out on the next one. Any time I visit another city, one of my first goals to find the local free paper. 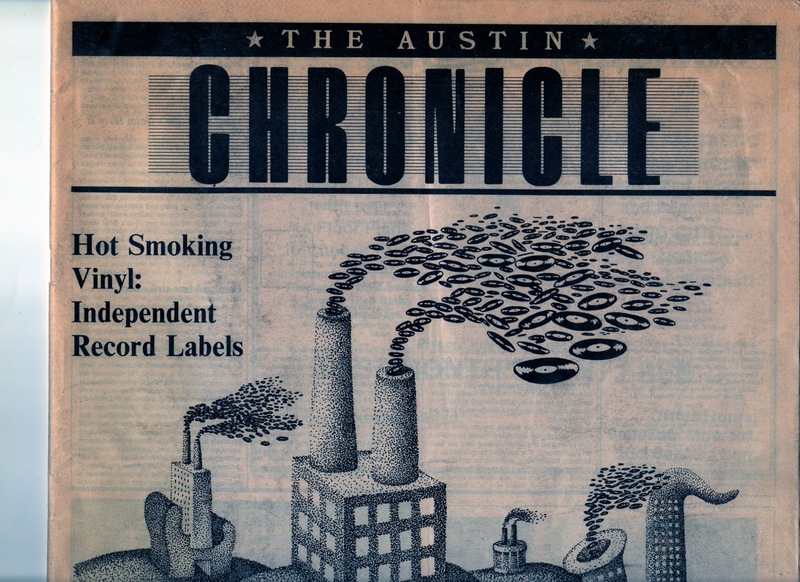 Since I’ve never been to Austin, Texas, I must have persuaded someone else to get me this September, 1986 issue of The Austin Chronicle while they were on vacation. Published by Nick Barbaro, with Sylvia Martindale as Associate Publisher, it was done in a similar format to the Chicago Reader. Louis Black served as Editor; Jim Shahin as Political Editor; and Jeff Whittington as Assistant Editor. Artist Keith Graves did the clever art for a cover story on independent labels that featured profiles of small record companies like Jungle; Rabid Cat; Glitch; and Wrestler. There were also some helpful tips on how to start an independent label. Shahin did an extensive piece on race relations in the city. A letter to the Editor from reader Beverly Howard scolded the paper for having “some major technical errors” in a previous article about how to hook up a VCR. Kent Benjamin reviewed The Monkees’ film Head; Martin Scorsese’s After Hours; and the 1963 flick Lord Of The Flies in his At Home With Video column. Michael Corcoran covered the entertainment beat in his column, Don’t You Get Me Talking; and there were record reviews of Big Guitars From Texas II and Doctor John. New releases covered in the film section included Aliens; The Fly; Extremities; and Ruthless People. Nicole Hollander’s Sylvia and Matt Groening’s Life In Hell comics were also featured in this issue. 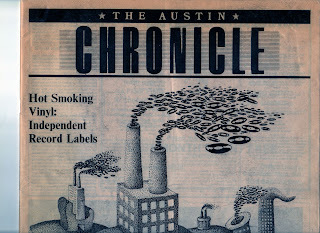 The graphics throughout The Austin Chronicle were impressive, in ads as well as editorial. The Record Exchange store’s artistic calendar noted the birthdays of various rock stars; there was a half page ad for The Smithereens’ Especially For You album; and an ad for the Austin Record Convention at the Palmer Municipal Auditorium claimed it was The Largest Record Sale in The Known Universe. Long live vinyl. Singer-guitarist Jesse W. Johnson’s brash and talkative vocal style sounds a bit forced during the few slow tracks on Jet W. Lee’s latest release, Western Nightmare. Fortunately, everything else is highly energetic, which is where Johnson is at his best. “The King’s Nightmare” would fit in well on a Cracker album, while “Hate To Hold Hands” has an appealing Americana arrangement. Other tracks, like “World Of Blur” and “Gas On The Grave,” are brief, but make a strong impression. There’s a clever juxtaposition in the title of Rob Reid’s Prairie Shanties Of The Landlocked Mariner, but many of his songs do have the feel of traditional folk music. “Some Birds” uses the winged creatures as a metaphor for humans, with lines like, “Some birds never seem to mind life inside a cage.” Julie Jurgens and Steve Dawson join Reid on harmonies for a few tracks, including “Me And Johnny Mac,” which evokes Paul Simon with its infectious rhythms. Cousins Charlie and Ryan O’Brien, the founding (and until recently the only) members of The Unswept, must have packed some authentic original British Invasion mementos in their luggage when they moved from Sheffield, England to Chicago a while back. The four short tracks on their Surf Song EP please with jangling guitars, clever lyrics, and catchy melodies. The O’Briens have since brought new members into the fold, but it’s unclear as to whether they were part of this release. A new effort from The Unswept is due out later this summer. 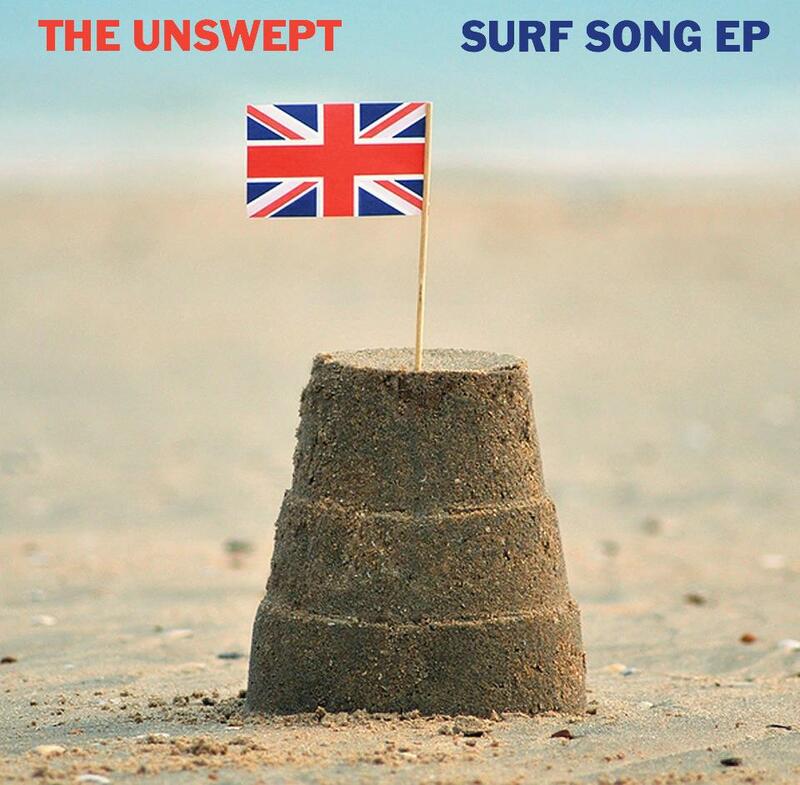 The fun “Surf Song 89” finds these Brits longing to be surfers ala The Beach Boys, and falling for a California type girl. “She’s So Cool,” which gives a shout-out to the O’Briens’ new Chicago ’hood, Logan Square, sports a more energetic arrangement as a guy praises his impressively hip girlfriend. “You’re Going Home”offers more relationship observations set to chiming guitars, while on the guitar-driven “Get Away,” The Unswept recapture the psychedelic era of late 1960s San Francisco. Judging from their live performance with the full band at International Pop Overthrow - Chicago a few weeks back, it looks like the O’Briens’ decision to add new members will fortify The Unswept’s engaging approach. Trying to get a handle on the sprawling two-LP/1EP compilation, Whatever Happened To The Soft Hearted Scientists can be a daunting task. 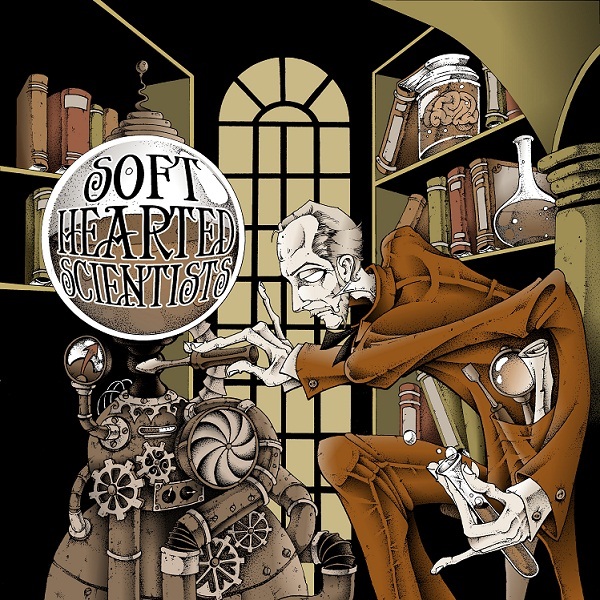 Available from the vinyl-only UK label Fruits de Mer, it pulls from seven years worth of Soft Hearted Scientists material. The eccentric British band not only zips through genres like a spaceship crossing galaxies, it succeeds in exploring a variety of emotions. Two new tracks, “Whatever Happened To You” and “Whatever Happened To You/The Sleepers In The Hill,” serve as wistful bookends on the LPs; striving to find meaning over several years of living. 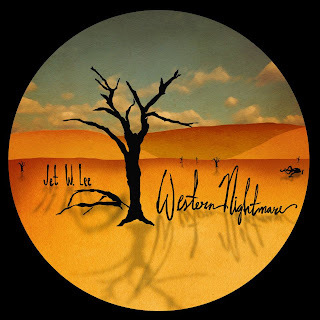 The darker “Halloween People” and “Night Of The Hunter” give a glimpse of the brand new False Light release, while older songs like “The Strangest Scene” and “The Garden Song” can also elicit chills. “Eyes” and “Comet’s Tail” are more conventional pop songs, with clever lyrics and irresistible melodies. First, I’d like to note that today would have been my mother’s 87th birthday. She encouraged me to write from the time I was a kid, but she always called rock music “raucous din.” So who knows what she would have thought of this blog. They’re in New York but I’m not. Steve Barton and Robert Darlington from the 1980s alt rock band Translator, are a last-minute addition to International Pop Overthrow - New York, according to a Facebook post from IPO CEO David Bash. They’ll be doing a set of Translator songs, which will likely include the FM radio hit, “Everywhere That I’m Not.” The IPO showcases in New York are being held at The National Underground. Back in the suburban Chicago area, power pop masters Shoes will be performing along with another legendary power pop band, the Jeff Lescher-led Green at FitzGerald’s in Berwyn tomorrow night. The show can be streamed lived gigity.tv. Shoes have quite rightly been going a lot of publicity following the release of Ignition, their first album in 18 years. Shoes are also booked for gigs at Shank Hall in Milwaukee, WI on July 26th and show at SPACE in Evanston on July 27th. Plus, they’ll be playing a show on my gazebo for my birthday on July 25th. Just kidding about that last one. 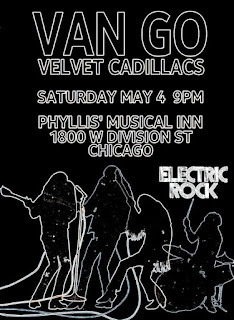 Anyone who was disappointed that the hard-edged power pop band Van Go didn’t perform at International Pop Overthrow this year, can make up for it by seeing the band, along with Velvet Cadillacs (who were at IPO -Chicago) at the Quatro de Mayo Rock ‘n’ Roll Party tomorrow night at Phyllis’ Musical Inn. Show time is 9:00 PM. Fresh from sharing the bill with renowned punk scribe Legs McNeil, The Handcuffs have a date with with Gene Loves Jezebel and Bow Wow Wow at Reggie’s on June 27th. The Handcuffs will also headline a quadruple bill at Beat Kitchen on June 14th, along with Phil Angotti, The Safes, and The Differents. It’s a record release show for The Differents. The Monkees are going back out on tour for 24 dates through July and August. The JAC, also known as Australian power pop musician Joe Algeri, will be coming to America in late July and early August. The trip will include a stop in Chicago where Algeri will hook up with his fellow band member of international power pop trio The Britannicas, Herb Eimerman. Modern technology has enabled the two (along with Swede Magnus Karlsson) to record music together, but Algeri and Eimerman haven’t actually seen each other in 14 years. Cheap Trick will be performing its Live At Budokan LP and The Beatles’ Sgt. Pepper's at Ravinia on August 31st. Other noteworthy concerts at Ravinia this year include Heart on July 29th; The Go-Go’s and The B-52’s on June 30th; The BoDeans on June 20th; and David Byrne and St. Vincent on July 6th.